Thank you to Sophomore Global History teacher Ms. Como for providing students with this essential learning experience. During a visit to the Museum of Jewish Heritage – A Living Memorial to the Holocaust students were taken on the school/youth group tour Meeting Hate with Humanity: Life during the Holocaust. 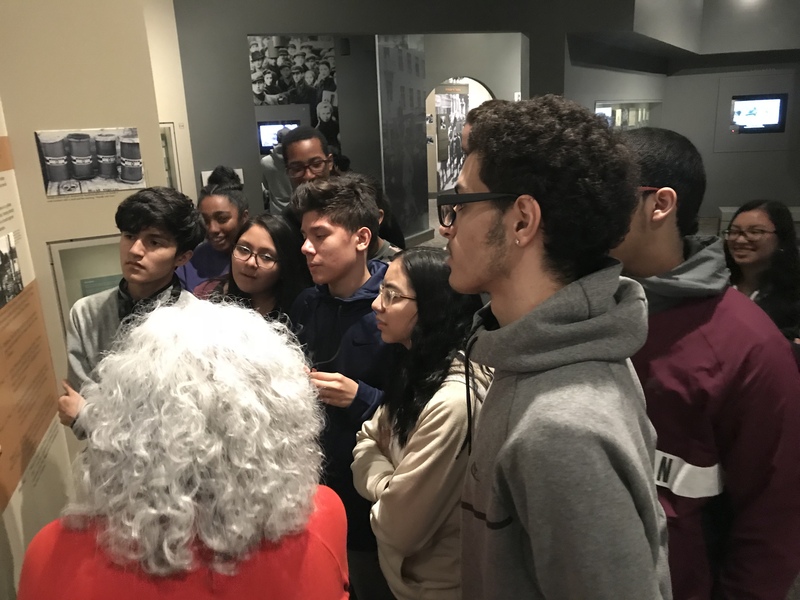 Museum educators led students through an exploration of the impact of World War II and the Nazi genocide on Jewish lives and communities in Europe. Students were able to view meaningful artifacts that allowed them to engage in discussion, make connections to prior knowledge, and further enhance their understanding. Afterwards, students also visited sculptor Andy Goldworthy’s remarkable memorial Garden of Stones. They were immersed in discussion while analyzing the meaning and symbolism behind the piece. Overall, the Museum of Jewish Heritage provided a meaningful and enlightening experience for our students. 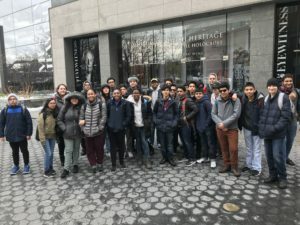 The following is a narrative by Antonio Perez on his and his classmates’ experiences during this trip. The Museum of Jewish Heritage – A Living Memorial to the Holocaust provides various exhibits for insight into the horrors of the Holocaust. On March 8th, a group of WHSAD sophomores were selected to attend a trip to the Museum of Jewish Heritage – A Living Memorial to the Holocaust. In class we had had several extensive discussions centered around the Holocaust and its effects and impacts on not just Jewish culture but the world as a whole. To experience the magnitude of this tragedy is beyond disheartening and astonishing. 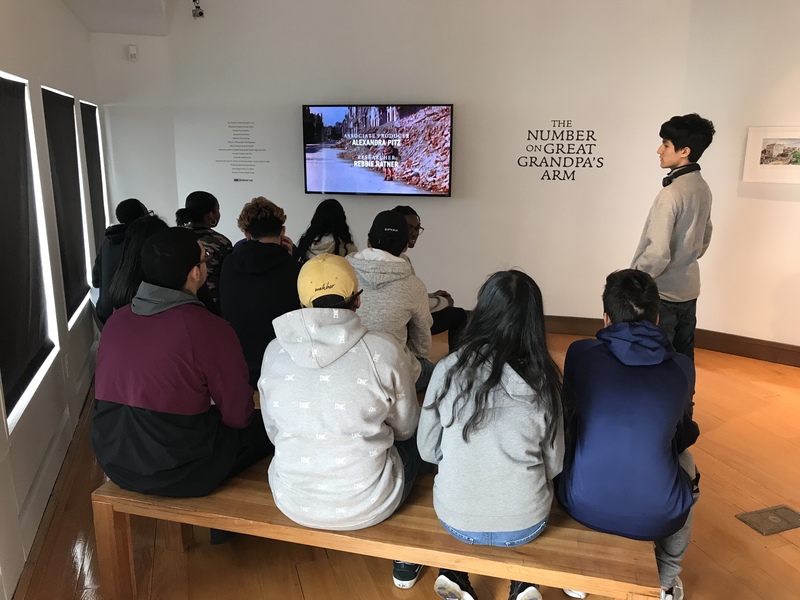 We as sophomores learned about the Holocaust in history class with Ms. Como, but going to the Museum and observing the galleries and viewing the videos, images, and artifacts deepened the influence it had on society then and still has on society today. Educating the youth about the Holocaust can be intimidating, but it is essential to spread this knowledge to the youth so that we can learn from the mistakes of the past and learn how to prevent this from happening again. The museum provides tours so that visitors can get a more personal and insightful look at what took place during the Holocaust. The Museum of Jewish Heritage’s main message is aimed at the “contribution to the global responsibility to never forget” and to “Always Remember, Never Forget.” The Museum educates guests about how Jewish life was before the Holocaust, during the Holocaust, and after the Holocaust. The Museum allows Holocaust survivors to speak and vocalize their experiences and history through recorded statements. The museum offers exhibitions, programs, tours and resources primarily focused on furthering the knowledge for the guests so they can learn. Guests are truly offered a view of captivating and historically momentous exhibitions and tours presented by the Museum. The Museum leaves an immensely profound impact on its guests and helps guests to better understand the historical importance of the topic and how we as a people must not forget about it and how we need to come together and learn and ensure that something like this will never happen again.